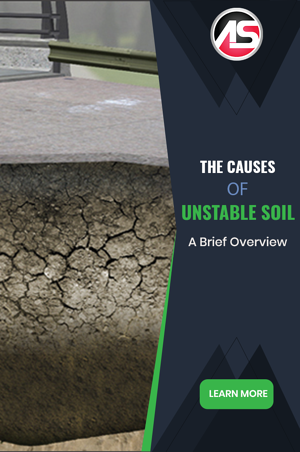 Unstable soil can be defined as soil that will not stay in place on its own, and therefore requires extra support. It should be noted that unstable soil can threaten the stability, security, and safety of infrastructure and can damage, degrade, and even destroy a number of structures, such as buildings, bridges, and roads. Erosion refers to processes in which external elements (wind, water, etc.) remove soil or rock from a certain location and transport it to another location. There are a variety of different erosion types, including river and gull erosion, wind erosion, and erosion attributed to human activity. Erosion ultimately destabilizes soil and can lead to landslides and sinkholes. One of the most common causes of unstable soil is poor compaction. 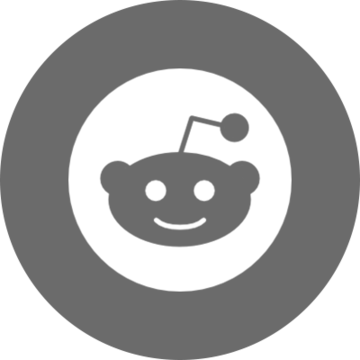 In some cases, certain types of soil are simply very loose and subsequently not compact. The cause of this is typically an imbalance of mineral pieces, organic matter, air, and water. For example, a clay soil with very high moisture content will inevitably become instable, as it will be incredibly difficult to compact. Similarly, soils with high sand content will be difficult to compact. When soils contain a high concentration of organic materials, such as topsoil and plant matter, it will decompose, subsequently causing it to become unstable. This is because organic materials rapidly change form and mass as they decompose in soil. In fact, up to 90 percent of organic material will disappear over the course of the decomposition process. Fortunately, stability can be restored to soil with ultra-low viscosity polyurethane resins. Foaming and permeation polyurethanes can mitigate the damage done by processes of erosion, decomposition, and freezing and thawing, as well as help to rectify compaction problems. When it comes to unstable soil, you can’t afford to take a risk. Stable soil is crucial to maintaining secure structures.